This guide was developed to assist you in answering some of the more common questions concerning select soccer. Select soccer team play not only requires that your son or daughter be capable of playing at a high level relative to the rest of their age group, but also involves a substantial commitment in time and energy from both the player and their families. While we attempt to respond to many of the different situations, you may find that some extraordinary circumstances, based on your family’s personal demands are not included in this guide. Select soccer is a sponsored program of the CPYSL and EPYSA. The select soccer program is organized by age and gender. 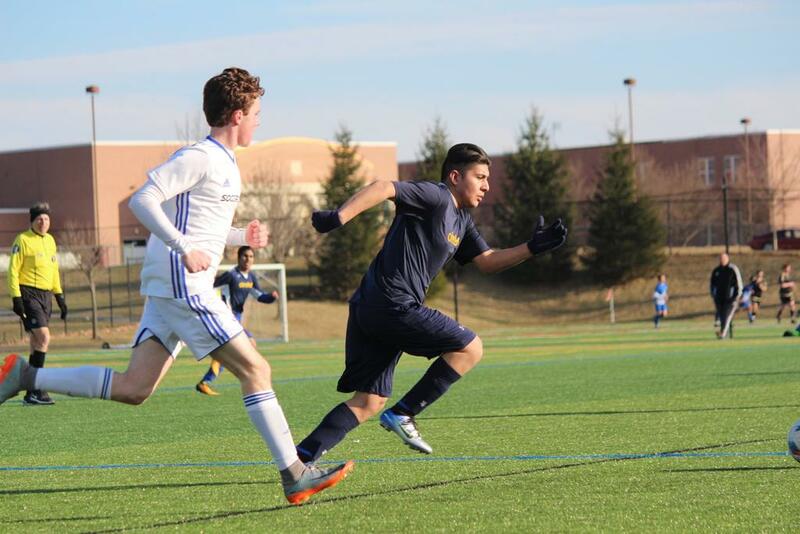 It provides a highly competitive training and playing environment for those players (and their families) who have the required athletic ability, soccer skills, commitment, and can meet the other demands placed upon them. How does select soccer differ from recreation soccer? ORSA soccer select teams are competitive. Therefore, making the roster, and staying on the roster, must be earned based on the team member’s play. In recreation soccer, all players are placed on a team roster regardless of playing ability. Recreation soccer also has unique requirements to encourage participation by all players such as all players must play 1/2 of each game. Select soccer playing time is based on the team’s needs and is at the coach’s discretion. How old must my child be to play select soccer? Each spring, ORSA tries to form one new boys select teams and one new girls select teams. These teams begin play the following fall as U-9 teams (generally 3rd grade). ORSA follows USA Soccer guidelines for age groupings. So, based on individual skill levels you should be thinking about select between the ages of 7 and 8 years old. How do I get on a select team? You must tryout to join a select team. ORSA requires all select teams to have a tryout each year generally in March. Some teams however, may have tryouts at other times during the year. ORSA will post all tryout information on their website and send emails to out database. What is the player’s time commitment? Most ORSA select teams operate 2 full season, beginning with Fall and ending with Spring. Additionally, many teams will elect to play in 2-3 tournaments per, play in a winter indoor league, or do offseason conditioning. Most ORSA select teams train twice a week for 1 1/2 hours per session. Occasionally, some teams may practice three times per week. Including tournaments, most ORSA select teams play approximately 8-12 games each spring and fall season and possibly 8 -10 games during indoor league play. While most ORSA select teams, particularly younger teams, encourage their players to participate in other sports, select teams also expect that team members will give preference to select team games over conflicts with other sports. My child wants to play high school soccer. Will playing select soccer help? Possibly, though there is no guarantee that your child will make his/her high school team. The fact that your child is participating in a higher level of play with more practices and games against better skilled competition will improve their game and increase their chances of making their high school team. The Registration "Parent's Guide to Select Soccer" is not currently available. Interested in becoming a sponsor of Olmsted Regional Soccer Association?